In a combined total of one minute and twelve seconds, Carlos Sievert managed to win both the gi and no-gi championships of the North American Grappling Association (NAGA) submission tournament in Portland, Oregon. What is perhaps more impressive about that statistic is that he made the decision to enter the day of competition (as NAGA allows same-day registration) and made the two-hour drive after finishing up a youth jiu jitsu class he teaches on Saturdays. At 31-years-old, Sievert is considered one of the jiu jitsu phenoms of the Northwest, winning more than 60 championships throughout his life and recently placed 3rd at the IBJJF World Masters tournament in November. 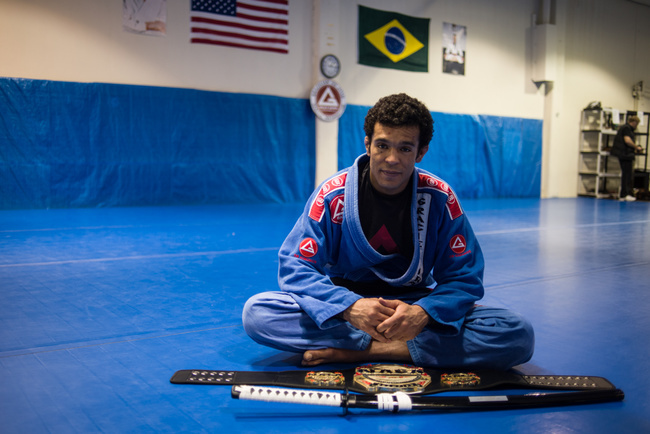 He is also a second-degree black belt from Brazil that currently teaches at the Gracie Barra schools of Seattle and Bellevue in Washington State. 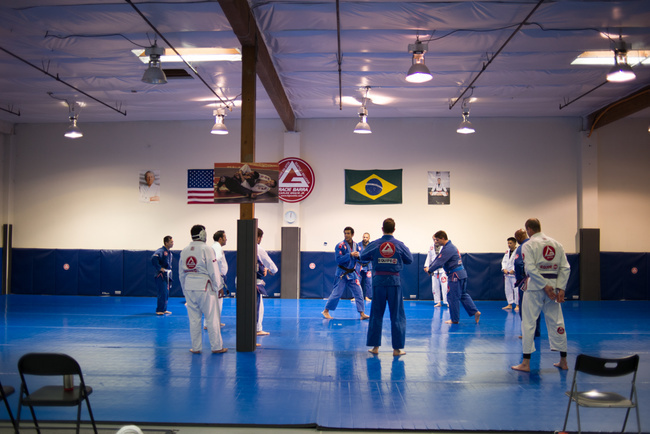 Ever since the Gracie family dominated the landscape of mixed-martial-arts fighting, Brazilian jiu jitsu has exploded onto the American mainstream and is considered a foundational staple to anyone seriously considering a career in the sport. With the rise of competitive MMA came the demand for quality jiu jitsu instruction and in response, Brazil has been exporting some of their nation’s best talent to the United States for teaching. Sievert is one of those talents. 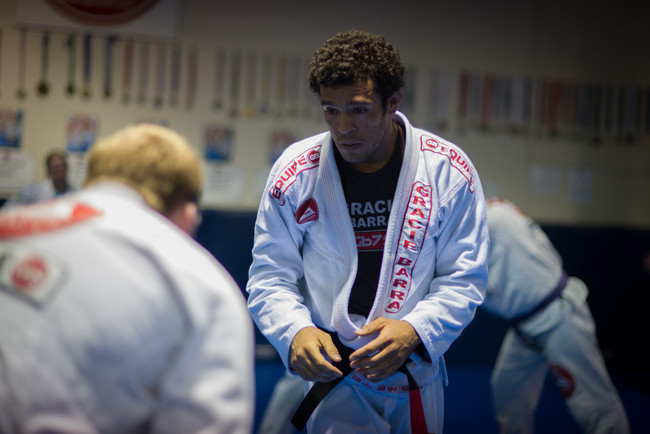 Starting his training in an academy that he describes as a garage, Sievert first began his fighting experience in capoeira and judo, but was lured to the jiu jitsu classes being taught next door and has stayed with the sport ever since. Upon receiving the rank of purple, he began assisting in instruction and later joined Gracie Barra in 2005 as a brown belt instructor. For Sievert, the decision to become a professor of the sport was one out of financial necessity. In order to maintain his practice and livelihood, he worked a number of odd jobs—bakeries, laundry-mats and his final post as a furniture mover—before becoming fully employed as a BJJ instructor. Over time, the balancing act between working to pay his bills and training to fulfill his passions began to wear thin, and it was then serious commitments had to be made. “In the beginning it was a question of necessity because my social situation wasn’t that good. I had a moment where I looked at my professor and thought, ‘Damn, why can’t I get where my professor is at?’ It was then when I started thinking more about giving classes to people,” says Sievert. An opportunity came at the beginning of 2010 when Gracie Barra offered Sievert a position to teach BJJ in the United States, an offer he immediately accepted. Much like how one would be more willing pay more for an imported good than a domestic one, jiu jitsu holds a higher commodity value here in the United States than it does in Brazil, which meant for transplants like Sievert, a higher pay grade and better job stability. What it also meant, however, was a greater degree of responsibility as well as facing the challenges involved in transitioning to a new country and culture. “The first thought that went through my head [when I landed] were the words of my mother: ‘Why didn’t you study English?’” laughs Sievert. The sacrifices that a fighter makes to their craft are well known. Time spent with friends and family, pursuits in other professions, and any real semblance of what one would call “a normal life”, often top the list. For a traveling fighter, the sacrifices are even more pronounced. Leaving the familiarity of home is no easy task, and having lived in Brazil myself, I expect Sievert to have a laundry list of things that he left behind—the culture, the people, the rhythm of life—all the beauty that is Brazil, basically. Instead, his list is much more concise. “I left the most important thing of my life. My family,” says Sievert. In exchange for coming to the United States, Sievert left behind an aging grandmother and the aunt who raised him from childhood that he commonly refers to as his mother. His 10-year-old daughter is also still in Brazil. Sievert later goes on to catalog the other sacrifices involved in his final decision, and with no guarantee of what awaited him, it’s apparent that much of that decision was made on blind faith. Today, Sievert lives a solitary life. His days are composed of training and teaching, going between his home and the academy, then sleeping and eating when he can. Unlike older instructors, Sievert is still in the stages of building his resume and actively trains as a competitor when he’s not giving classes. This makes the duties of his profession double, dealing with the demands of training as well as all the logistical challenges that come with being an instructor, much like a writer who also holds writing groups on the side or a singer who gives voice lessons to get by. When times get tough, Sievert doubles-down on his focus and over time has found that the sport has given him everything that he’s lost. Between the two academies, Sievert has over 400 students under his instruction, and more or less considers them his adopted family. He credits them as the reason he’s been able to read, write and speak English, and is often seen throwing around plenty of jokes and casual chatting with his pupils before class. Sievert is also notorious for playing reggae tracks during training and interacts with life in a similar rhythm. There is a noticeable sense of ease in his attitude and it appears as though he has accepted all the consequences of his choices, knowing that they will one day lead him to where he wants to be. For Sievert, that place is the top spot at the World Masters, which at the moment, is the main focus of his competitive goals. His teaching goals, however, are much more succinct. In fact, he argues that he’s not really teaching anything, just living an example of someone walking a path in life.